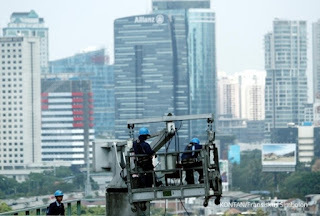 Bank Indonesia (BI) has predicted that the national economy will grow at a moderate pace of 4.9 percent this year. 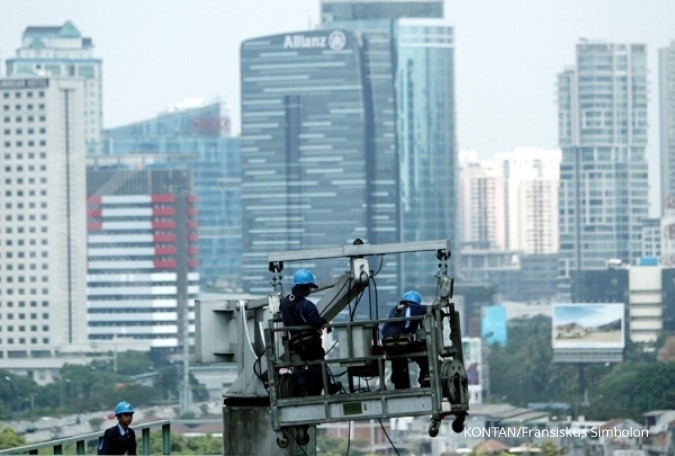 The national economy will grow at a faster pace during the second semester than the first, BI Governor Agus Martowardojo said at a meeting on Thursday. "The (second-semester) economic growth is expected to reach 4.9 percent or in the middle of the growth range of 4.7-5.1 percent," he added. He said the government was facing a formidable economic challenge. Global economic growth in 2015 is projected to fall to 3.3 percent from 3.4 percent last year, suggesting that it has not been encouraging. "Although there have been improvements in developed nations, such as the United States, we need to pay attention to China, which recorded an economic growth rate of more than 10 percent in each of the past two decades. The Chinese economy expanded by 7.4 percent last year and is projected to grow by 6.8 percent this year. China is a large economy. If the Chinese economy slumps, it will have an impact (on other countries)," Martowardojo pointed out. Developing countries, such as Brazil, Turkey, India and South Africa are known as the new emerging economies and have also come under pressure because of the global economic slowdown and sentiment towards the U.S. Federal Reserve's plan to adjust its benchmark rate.